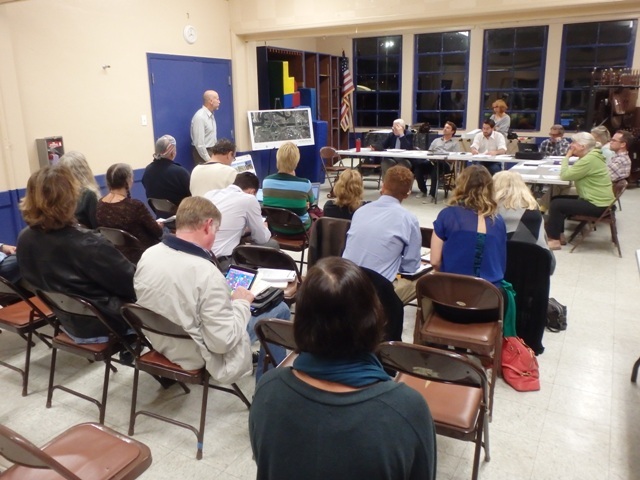 At the well-attended monthly meeting of the OB Planning Board, Wednesday, Nov. 4th, the Board was able to finalize their policy on short-term vacation rentals, as well as approving the ‘condo-ization’ of the 4-unit Quigley building at 5151 Long Branch Avenue. The project before the Board was the so-called “Quigley Building” – up for a map waiver to allow for condos. Rob Quigley – San Diego’s famous architect (San Diego Central Library) – designed and built the 4 unit building at 5151 Long Branch Avenue back in the 1970s. Each of the 4 units has one-in-a-kind, very unique designs, with a couple of them multi-floors. 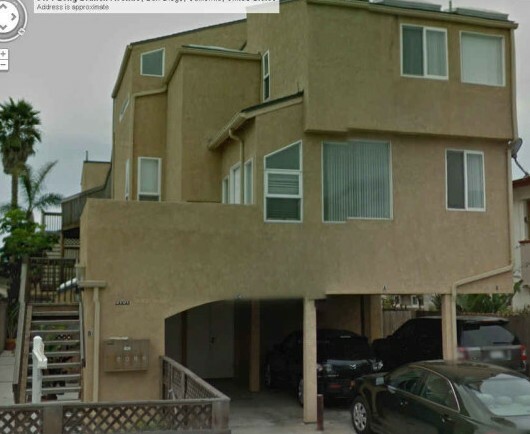 And importantly, Quigley had committed- with this 3-story – to construct the first building under the auspices of the brand new Ocean Beach Precise Plan that was, at the time, either just passed or about to be passed by the City Council. Quigley had been involved in the grassroots campaign to establish OB’s Planning Board, and at one time, was on the steering committee of the OB Community Planning Group – a forerunner to today’s OB Planning Board. The original exterior of Quigley’s building was a mix of wood, and wasn’t until the building was later sold was it stuccoed by another owner. Yet, these are the reasons that make thils building historic and part of OB’s cultural-social-architectural evolution. Today, under modern standards, Quigley’s former building has much to be desired and the younger OB planners are not impressed with it. It’s not very ‘street-oriented’, for example, which is encouraged for new construction in the OB Community Plan. Another issue is that it doesn’t have the modern number of parking spaces per unit that are required now, but is “grand-parented” in. It has 6, whereas 9 would be required. The applicant for the condo conversion had been before the Board nearly a year ago, but there were issues – now resolved, he claimed as he stood before them once again. There’s no new construction, no modifications – except to the right-of-way to bring the project up to code. There was some discussion among Board members about the concern that investors would buy up all the units and turn them into short-term vacation rentals. The developer is not bound to make pledges of what buyers do with the condos. No Board member raised with gusto the challenges and drawbacks to condos, as critics have in the past. In the end, there was never any doubt that the Board would approve the map waiver. The Board voted 7 – 0 -1` for the map waiver, which will allow the units to be condos – and sold and purchased separately. Much of the evening was spent by the Board crafting a policy towards short term vacation rentals (STVR). “OB has come to a nexus now, …” Planning Board chair John Ambert declared – opening the discussion – with a plea that the Board had to come to grips with a new reality about the STVRs in the community. Gio Ingolia, one of the co-chairs of the Plan Update sub-committee, announced that the OB Town Council – where he is the current vice-president – is “looking to back the OB Planning Board position,” on the rentals issue. The fees should be used to employ additional code enforcement officers to crack down on the illegal ones. There were a couple of presentations to the Board – one of future designs for the San Diego River will be covered in a subsequent post.